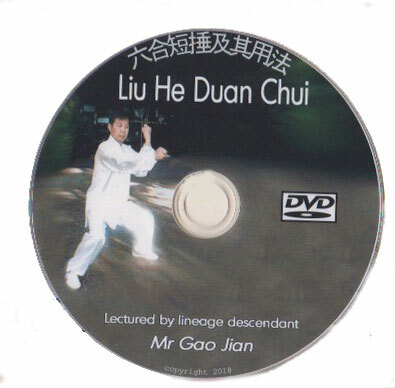 We’ve added a new DVD to our collection: LiuHe Duan Chui, the second installment from Teacher Jian Gao, exhibiting one of the rarer styles of Praying Mantis�Six Harmony Praying Mantis�or what some might call a mantis variation of Liu He Quan (Six Harmonies Boxing). This style incorporates key points from many others, such as Monkey, Tong Bei and Liu He Quan. It is, what you might call a highly tactical style, with San Ti movement, whipping hands and, as in this case, strong Xing Yi-like movement. Posted March 14, 2018 by Plum Staff. Comments and trackbacks are open. Follow the comments feed. Tagged with: Ba Bu Tang Lang, Boris Shi, Eight Step Mantis, jian gao, liu he boxing, liu he tang lang, liuhequan, Praying Mantis, Seven Start Mantis, six harmony praying mantis, Tang Lang Quan.